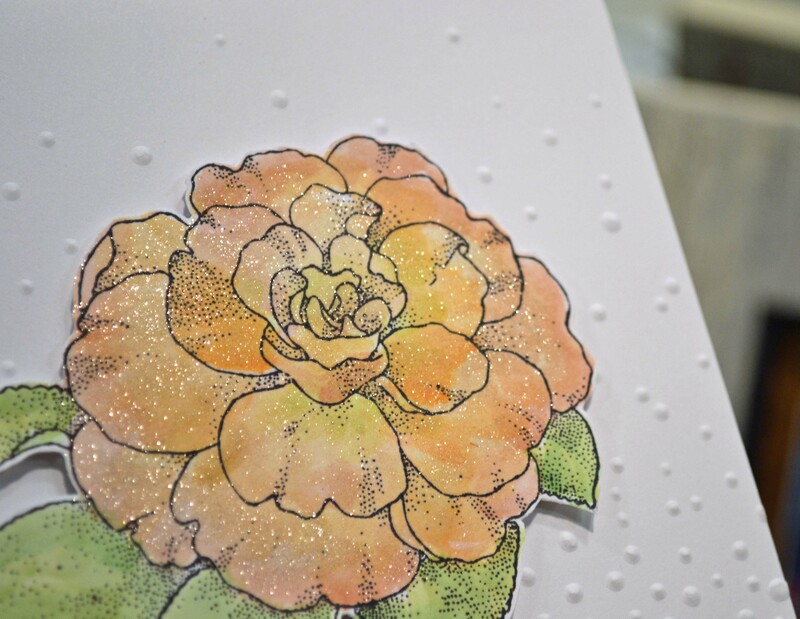 In my last post, I teased a picture of a new stamp from Technique Tuesday’s Greenhouse Designs — the beautiful camellia. 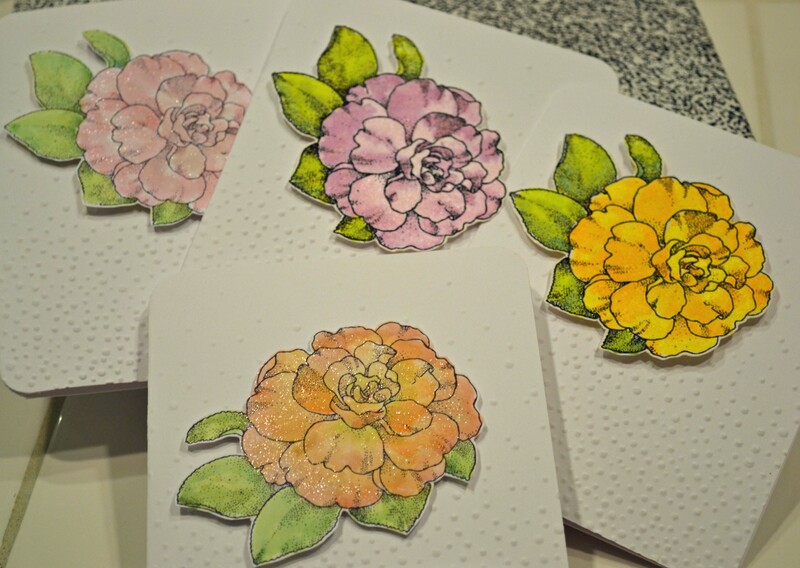 I admit, I went a little camellia crazy… because the flower is so much fun to color and easy to cut out if you want it just as an element. As you can see, I had a great time experimenting with different coloring techniques. 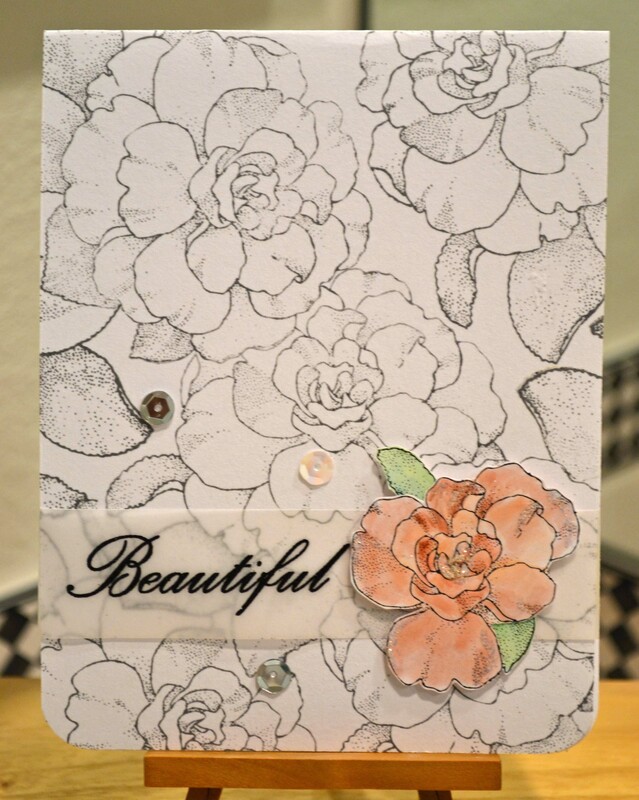 I stamped the flower on plain white card stock in VersaMark embossing ink and used black powder to heat emboss. Then I just colored myself silly, experimenting with just about every coloring agent in my desk. When the flowers were dry, I cut them out (the perfect thing to do while watching TV!). 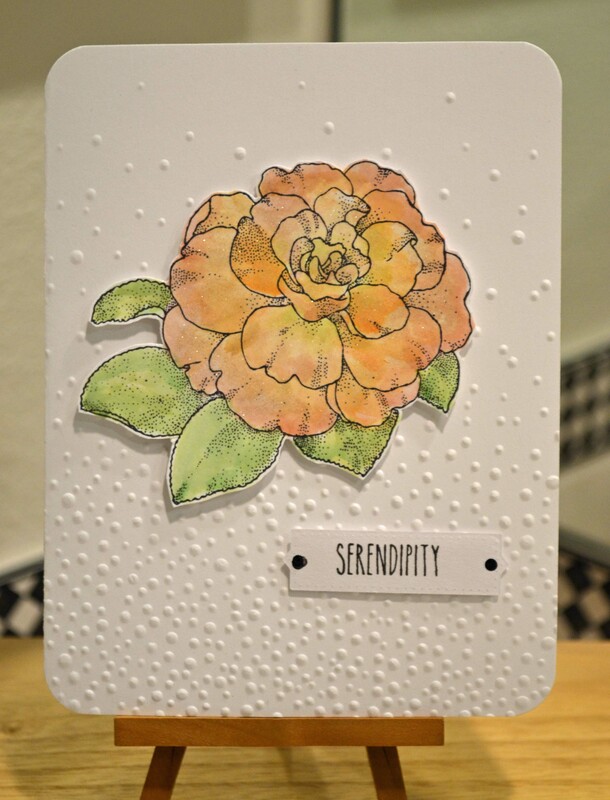 To make the card base, I ran the front of my folded card stock through this beautiful embossing folder from Stampin’ UP/Sizzix, called Softly Falling. (I can’t wait to use this folder as snow on my holiday cards!) I rounded the card corners using a heavy-duty corner rounder. 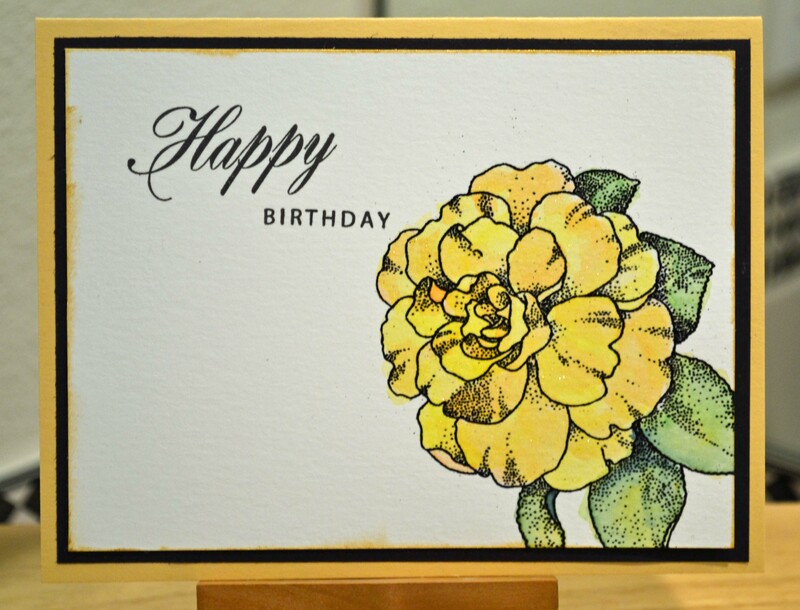 Then it was just a matter of adhering the flowers to the card base, using foam tape. On some, I added the lovely Wink of Stella clear to get a little sparkle. Elizabeth Craft Designs is amping up the creativity with a new designer and 14 — yes 14 — new YouTube videos by company founder Els van de Burgt. Artist and illustrator Bianca Petroschi is the team’s fourth licensed designer, with some lovely realistic birds and animals. The first collection from the Petroschi Designs by Bianca line has both cling-mounted deep etched red rubber stamps and also some clear sets. 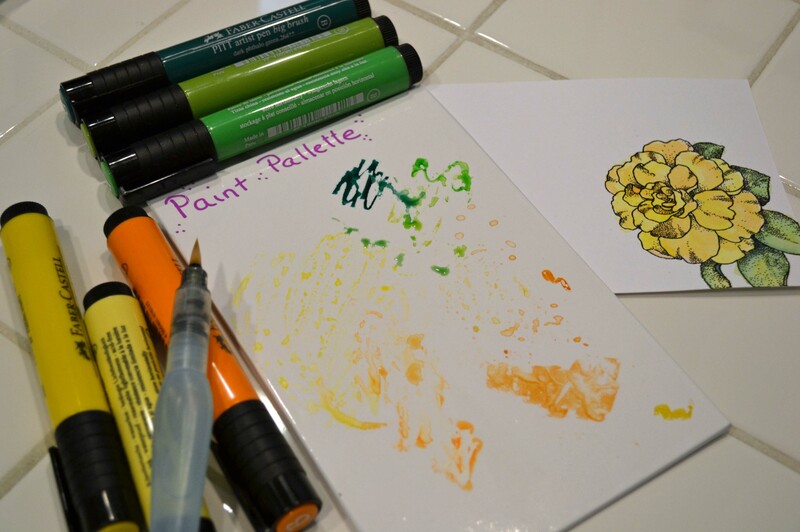 Check out her cute hedgehog card, for instance, or scroll through her blog. 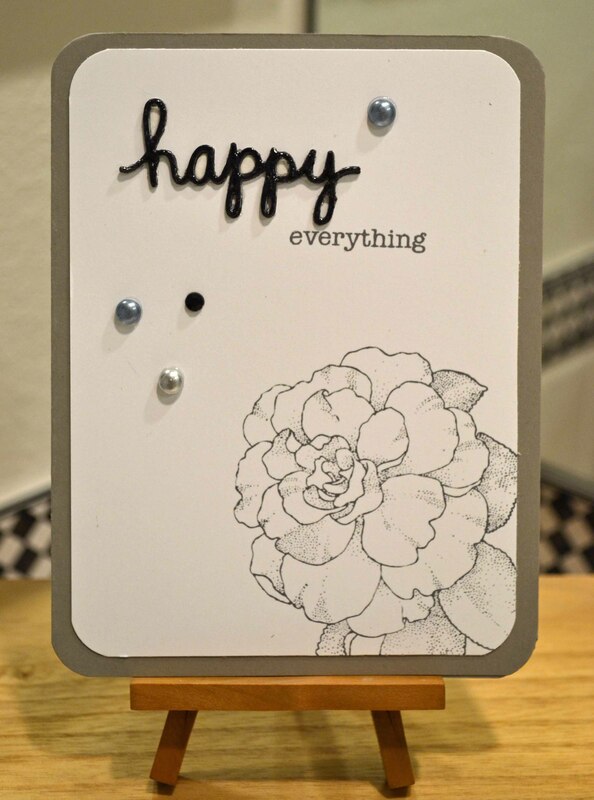 Sounds like a great surface for mixed media, card making, die cutting and embossing. I’ll be eager to test it. Technique Tuesday also has a new designer — the talented Cath Edvalson. Cath was early in the card making scene with her first business, Cards by Cath, selling handmade cards. But most of us know her best as the former editor at Paper Crafts Magazine and the Moxie Fab World blog (one of my early blog addictions! How I miss that sassy blog!) I miss Moxie Fab, so I’m delighted Cath is back, both designing for Technique Tuesday and with a new blog, Hip & Hooray. 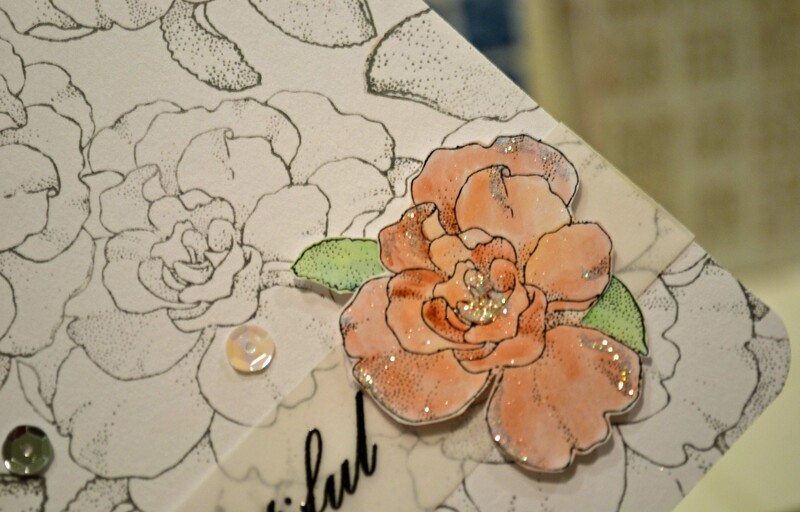 In her first stamp and die release, Cath found inspiration in lace, stained glass and good old fashioned New England folk art. 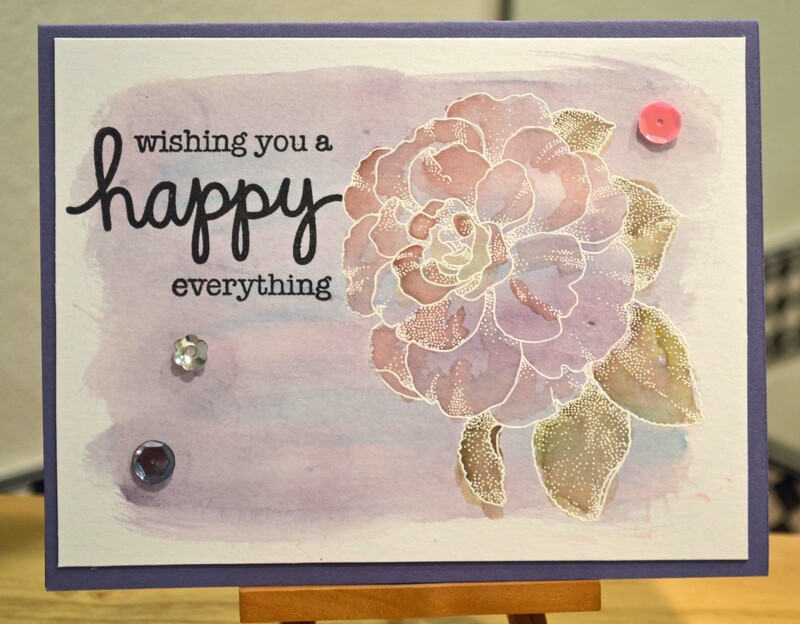 Here’s a link to a video showing this month’s release, including Cath’s first stamps and dies. Glad to have you back, Cath! Thanks for stopping by … and stay tuned!